We don't play the Spurs again, and take the season series against them 2-1. Could be important come playoff time. fishonjazz and LoPo like this. gregbroncs, latin jazz and SoUjazzfan like this. Would be huge to get that one. 1.5 with an out in the 2nd round. Same team. Apparently you're not in favor of championships. Fair enough. I pity you for spending so much time on this forum just to rile up fans constantly. LoPo and jom2003 like this. gregbroncs, JazzMan4Life and NUMBERICA like this. The world doesn't stop and start at your convenience OL. That's three days away, at my age I can't maintain my 'excitement' that long. fishonjazz and Bawse Dawg like this. Which raises the question how well he can co-exist with another ball dominant star guard. If he goes invisible when Rubio takes on the lead guard role on the floor. Good win. If we can win one of the next two, that’s huge. After that, the next 21 are insanely easy. 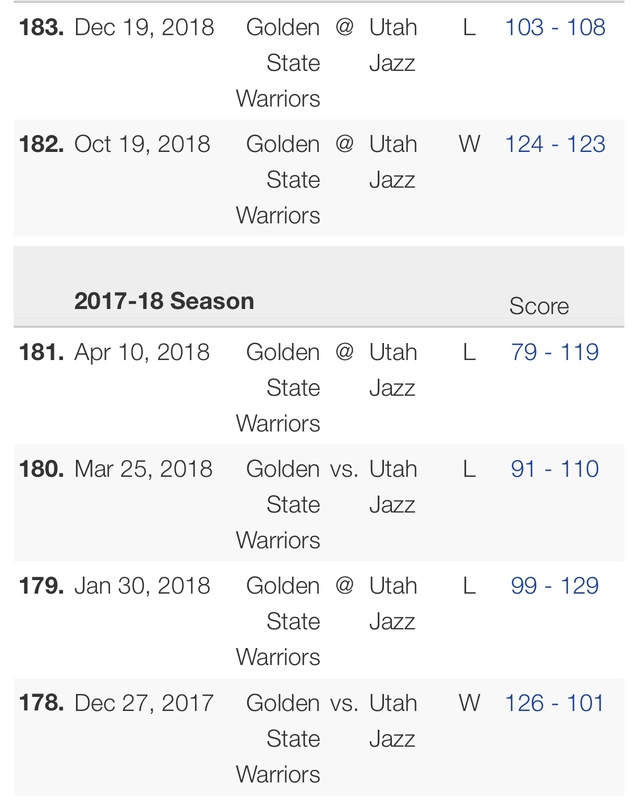 Only one game during that span is a road game vs a current playoff team. We could legit go 17-4 during that stretch. Who cares if they win the game. It shouldn't bother U if Mitchell scores 10 points. The objective is wins right? Let’s say we go 0-2, then 16-5 over our easy stretch. That puts us at 48 wins with three challenging games to end the year. New_Jazz_Order and RJF like this. I don’t like it when I agree with you...and yes, I know you’re being sarcastic.